For historical reasons, Legacy Virtual Machines do not run a kernel that is kept inside the rest of the system. 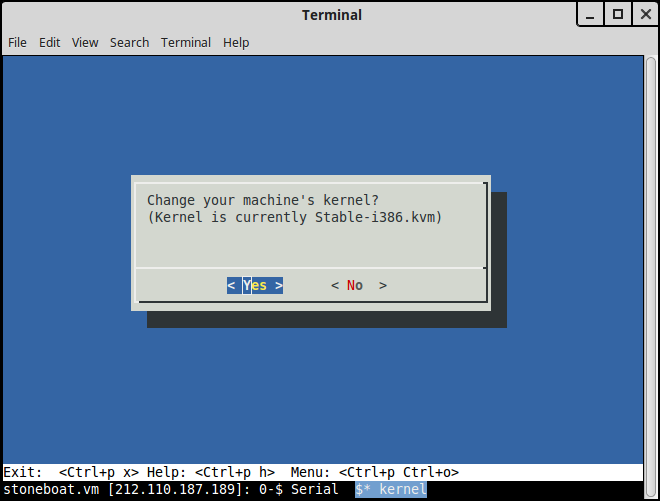 If you select ‘Change your kernel’ you’ll be prompted to select the kernel you wish your machine to boot with in the future; the kernel marked Stable-i386.kvm is the preferred choice. 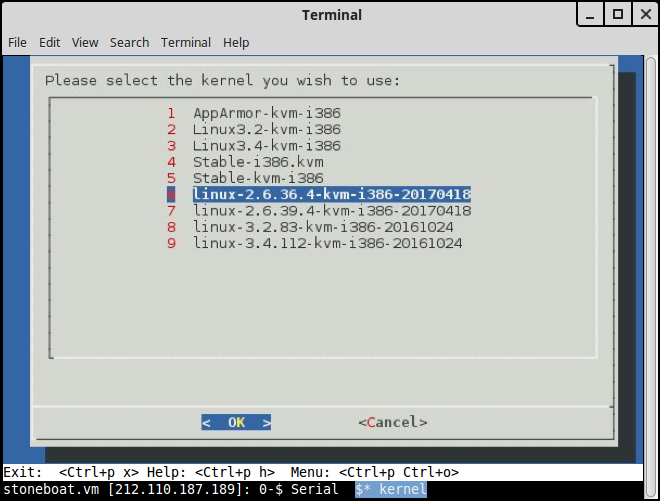 Picking a kernel with a general name (e.g., Linux3.4-kvm-i386) will track the latest version of that kernel whereas a specific kernel version (e.g., linux-3.4.108-kvm-i386-20150619) will not. It is best therefore to select the more general kernel to gain the benefit of any new version, unless you have a specific reason not to. Once you’ve made your choice you will need to restart your machine for it to take effect. Options 5-9 are all aliases of the first four options. AppArmor is 2.6.36.4, and Stable is 2.6.39.4, for example. We recommend Stable-i386.kvm for users with no special requirements.